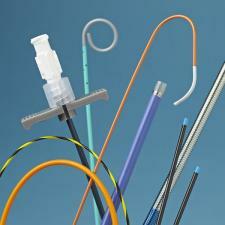 Get your project done with Teleflex Medical OEM. 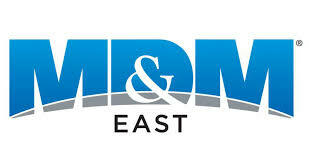 We are a leader in providing medical product development and production across the world. We are that partner that can hear what you are saying, understand your needs, and delivery innovative, highly-customized solutions. 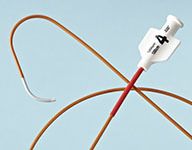 If innovation in medical devices is on your agenda, Teleflex Medical OEM should be on your team. We are the single source solution that can get your great idea off the drawing board and into production. You can outsource everything from product concept development to prototyping to manufacturing – all according to your exacting specifications. And you can do it with the confidence that your project is being handled with experienced professionals every step of the way. We are a well-qualified team of engineers, material and polymer experts, and skilled technicians that will seem like a natural extension of your own R&D department and operations staff. 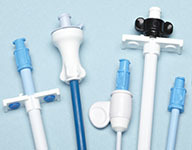 Teleflex Medical OEM is a global leader for precision extrusions in PTFE, FEP, PEEK, and other fluororpolymers and high-performace thermoplastics. From heat-shrink tubing to multi-lumen tubing to PTFE liners, we produce extrusions with outstanding tolerance control, length accuracy, and tubing consistency. We extrude materials to some of the industry’s tightest tolerances, with additional heat-shrink and etching capabilities. We can also fabricate braid- and coil-reinforced tubing in a broad selection of materials, sizes, and wall thicknesses for a variety of applications. Co-extrusions are yet another area of expertise – for encapsulated stripes and multiple layers, for over coating of wires, and for combining dissimilar materials to meet your requirements. Complementing all of this, Teleflex Medical OEM offers leading-edge capabilities such as bonding or welding stem sections, soft tips, and atraumatic tips to tubing sections. Step grinding and center less grinding are available in-house, along with comprehensive finishing operations, including flaring, tipping, drilling, and hub molding. 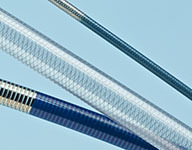 Teleflex Medical OEM is known across the world as a leader in custom-engineered, advanced catheter systems. 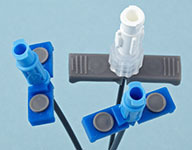 Unlike other catheter manufacturers who supply only a few components, we can provide everything from extrusions to product assembly to packaging. You have the security of knowing that our expert team has complete control over each step of product development and manufacturing process and can quickly respond to any immediate need. Our team of highly-qualified engineers, material and polymer experts, and skilled technicians makes Teleflex Medical OEM stand above the rest. You can count on us to enhance your design, develop functional prototypes, and scale up for manufacturing. Teleflex Medical OEM offers you a true, full-service partnership with the vertically-integrated capabilities to get your project off the drawing board and into the market. 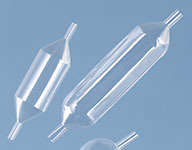 Teleflex Medical OEM is your single source solution for balloon and balloon catheter design, development, and manufacturing. 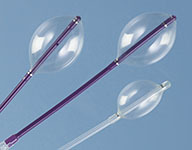 Unlike some manufacturers who outsource your project to multiple vendors, Teleflex Medical OEM has the in-house, vertically-integrated capabilities to provide everything from precision extrusion to balloon blowing to device assembly and packaging. Make your access device concept a reality with Teleflex Medical OEM. With our years of experience in device development, we can produce a broad range of peripheral and vascular access systems that are manufactured and assembled to your specifications. Unlike other manufacturers who supply only a few components, Teleflex Medical OEM can provide everything from precision extrusion to components to product assembly to packaging. You have the security of knowing that Teleflex Medical OEM has complete control over each step of product development and manufacturing process, and can quickly respond to any immediate need. 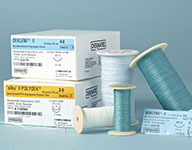 Teleflex Medical OEM is one of the world’s few, vertically-integrated, full-line suture and fibers producers with the expertise and resources to customize product performance to your specific applications. Our ability to take your project from resin to fiber to component to suture to finished device makes Teleflex Medical OEM a true single source solution. We draw on our extensive range of materials (both bioabsorbable and nonabsorbable), sizes (USP/EP and custom), PIC counts, and coatings to meet your specific requirements for strength, flexibility, and handling. 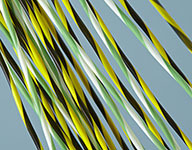 We also offer a large assortment of colors and patterns that allow for enhanced visibility and differentiation. Our expert team of highly-qualified engineers, material and polymer experts, and skilled technicians makes Teleflex Medical OEM stand above the rest. 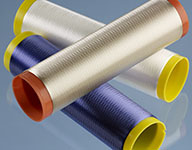 We can polymerize, extrude, braid, and tip in-house, and develop unique compounds and coatings. 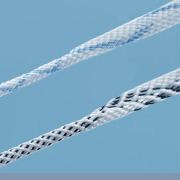 Many projects incorporate proprietary materials and our unique braid constructions for great tensile strength, increased lubricity, and outstanding knot break strength. 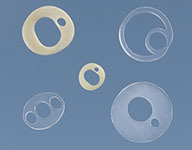 If the development of bioabsorbable components or sutures is your plan, you should partner with Teleflex Medical OEM. 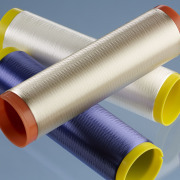 We are one of the world’s few, vertically integrated, suture and yarn producers with the expertise and resources to customize product performance characteristics to particular therapeutic indications. 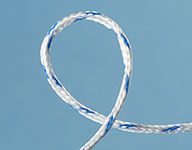 Our ability to take your project from resin to yarn to component to suture makes Teleflex Medical OEM a true single source solution. 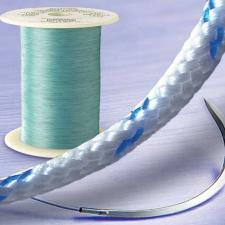 Teleflex Medical OEM is a company with a history of innovation and technical expertise. 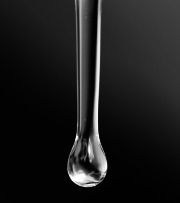 We draw on our portfolio of bioabsorbable materials, deniers, filament counts, and sizes (USP/EP and custom), to meet your specific requirements for absorption rates, strength, flexibility, and handling. Our expert team of highly-qualified engineers, material and polymer experts, and skilled technicians makes Teleflex Medical OEM stand above the rest. 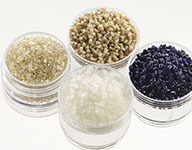 We can polymerize, extrude, and braid in-house, and develop custom compounds. Many projects incorporate our unique braid constructions for outstanding tensile strength, lubricity, and knot break strength. You have a great idea for a medical device. You know what the device needs to do. But your R&D resources are involved with other projects; or you may need insight or unbiased opinion of a device’s design for manufacturability. Teleflex Medical OEM has you covered with our comprehensive capabilities and deep expertise at our EPIC Medtec™ Centers (Engineering, Prototyping, Innovation, Collaboration). Our EPIC Medtec™ Centers provide the help you need to reduce project risk and build a device using proven, in-house capability platforms. You will work directly with our multi-disciplinary team of engineers, material and polymer experts, and skilled technicians. Whatever the project demands, we have a spectrum of world class talent to draw from. Share ideas. Brainstorm out-of-the box solutions. Question assumptions. Develop demonstrative prototypes. Gather feedback. It is a total collaborative process. The result: Product concepts that target your well-understood objectives, challenges, and application requirements. All developed with a focus on its manufacturability and a solid understanding of the limits of the core technologies being used to manufacture it. ©2019 Teleflex Incorporated. All rights reserved. TFX OEM, Teleflex, IDEA Medtec, EPIC Medtec, and "Work with the Experts" are registered trademarks or trademarks of Teleflex Incorporated in the U.S. and/or other countries. Reduce Risk! Control Costs! Get to Market Faster! The Customer Solution Centre is Your Pathway to Successful Device Development.